I am proud to say that I have hooked an Australian and an American on a Canadian TV show that we all watched while living in Japan. 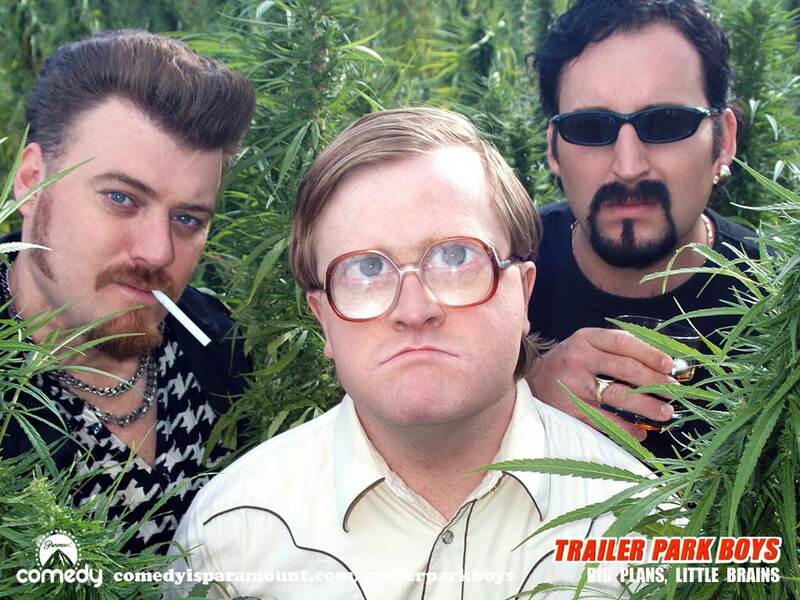 Trailer Park Boys is just that funny! In an effort to save money, I am trying to spend some more time at the apartment hanging out with my roommates. We have a TV in the apartment, but Japanese TV is very hit and miss. There are some shows you can enjoy with limited language ability, but a lot of what’s available is not all that interesting when you can’t understand. My roommates Azeroth, Palmer, and I took turns trying to locate some good, non Japanese shows we can all watch together while hanging out. I am proud to report that I introduced them to a fantastic Canadian show that is a great cultural ambassador for the country. A show that never fails to entertain or educate. A show that is as Canadian as hockey, maple syrup, and complaining about Celine Dion. That show is Trailer Park Boys. For those who have not had the pleasure of watching this show, it is a mockumentary about the residents Sunnyvale, a fictional trailer park in Nova Scotia, Canada. The main characters are serial criminals Ricky and Julian, and their best friend Bubbles. Most of the stories involve Ricky and Julian coming up with illegal schemes to make a lot of money and then retire. The end result is usually a return to jail at the end of the season after some drug and alcohol fueled mayhem. The rest of the cast of characters is extremely colourful: Trailer Park supervisor Jim Lahey is a former cop and raging alcoholic, his assistant Randy never wears shirts, local wannabe gangster and very white rapper J-Roc asks “know what I’m sayin” about 30 times a sentence, and idiot henchmen Corey and Trevor can’t get anything right. The show is absolutely filled with drinking, pot smoking, constant swearing, and occasional gunplay. It’s low brow, but it’s HILARIOUS. I would say it’s the funniest Canadian show not called “Kids in the Hall”. So how are Trailer Park Boys cultural ambassadors? Despite being foul mouthed criminals, the boys care deeply about their friends and family. At one point Ricky publicly humiliates himself to ensure that his daughter gets a set of encyclopedias. In addition, the characters are all fiercely proud Canadians, and the show is ahead of it’s time with the acceptance of gay and lesbian characters; when Jim Lahey and Randy come out, nobody cares as long as they can keep playing street hockey. Trailer Park Boys is definitely not a show for everyone, but Azeroth and Palmer absolutely love it. After a long day of teaching conversational English while wearing ties, there is nothing better than sitting back with some cold beer, unhealthy snacks, and then laughing our asses off watching Trailer Park Boys. (2015 Update) The show is still going strong, having completed 9 seasons, 3 movies, and live tours around the world. I somehow got my wife (from Japan) hooked on the show! Check out what the boys are up to and see their new project at SwearNet.